When you're buying screen printing equipment, you need non-spotting aerosols. These help you clean your screens, often while they're still on the press. These cleaners can dissolve multiple types of inks, and they are perfect for spot cleaning. Here's just a few of the options you may want to consider. SILICONE TEXTILE GRADE 16 OZ. Non-spotter screen openers can be applied directly to the screen. They are ideal for use with photographic stencils or even with water soluble hand cut film. If your screen is clogged with paint, this is a great way to open up the holes. You may also want to add anti-fray spray to your list of must-have screen printing equipment. Sometimes, the fabric you store for your screen printing projects can start to fray and wear down. When you use a product like this, it helps to prevent unraveling and stop threads from slipping. This makes it easy to store fabric safely. When you run a busy screen printing shop with lots of different screen printing equipment, you need a variety of cleaners. In addition to keeping the screens clean, you should also look into glass and surface cleaner. Sometimes, ink from your projects can migrate to other surfaces, but if you have a box of glass cleaner with your screen printing supplies, you will be ready to address those messes as they happen. When you invest in silicone lubricant, you can use that in a variety of areas where you need lubrication. The silicone has a thick viscosity that many people prefer to grease-based lubricants. You also don't have to worry about it transferring from your screen printing equipment to your fabrics. When you add embroidery lubricant to your collection of screen printing supplies, you have everything you need to lubricate your embroidery machinery as well as your sewing or textiles. To find out the exact benefits of your lubricant, check out the manufacturer's specifications. 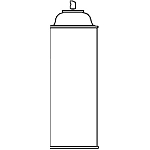 Most aerosols are designed to dose accurately and easily. The non-spotter designation means that they come out in a manageable way so you don't have to worry about spots appearing in unwanted areas. Since each can dispenses its own cleaner, you don't have to buy special equipment like spray guns to spray the cleaner. You simply use the aerosol until it's done, and then, you throw away or recycle the can. That said, there are obviously benefits to buying in bulk and using spray guns for products that you use a lot. But, even if you usually do that, an aerosol can lets you try a single product easily and without a large financial commitment. 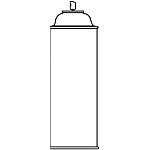 Then, if you like the product, you can buy a case of aerosol cans or switch to a bulk order paired with a spray gun or other application method. At American Niagara, we know that you need quality screen printing equipment to run your business successfully. To help you find T-shirt printing supplies and everything else you need, we have an online catalog. We can also answer your questions if you contact us directly.